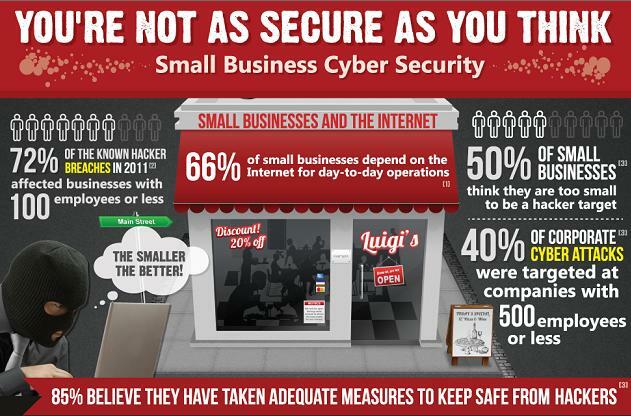 According to this new infographic published by Veracode, 50% of small business owners think they were too small to be a target of a cyberattack, and yet 72% of the known hacker breaches that occured in 2011 affected businesses with 100 employees or fewer. 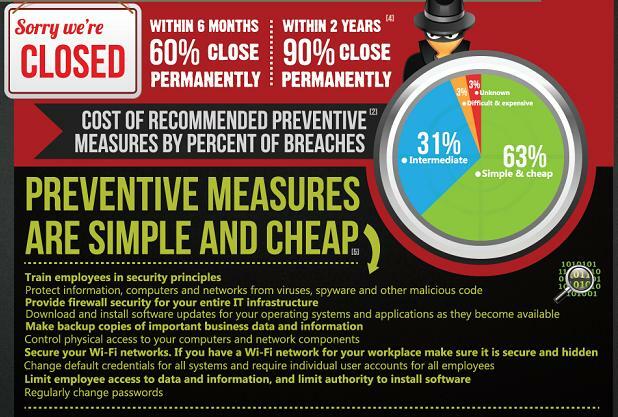 The infographic, which contains some startling facts and figures, also outlines simple and inexpensive steps small business owners can take to protect themselves against cyber attacks. You can find more tips in the U.S. Chamber’s cybersecurity guide.